Universal Studios Florida is loud, flamboyant & bold plus it allows you to become the star of the show and ride the movies! This outstanding theme park is home to The Simpsons, Transformers, The Minions and more. 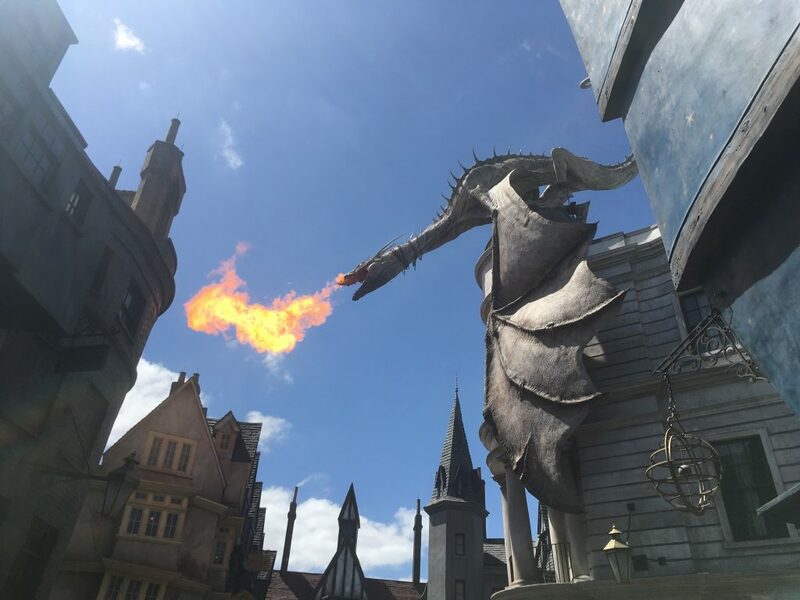 Most attractions are big E-Ticket events and the park houses some of the biggest attractions in Orlando. 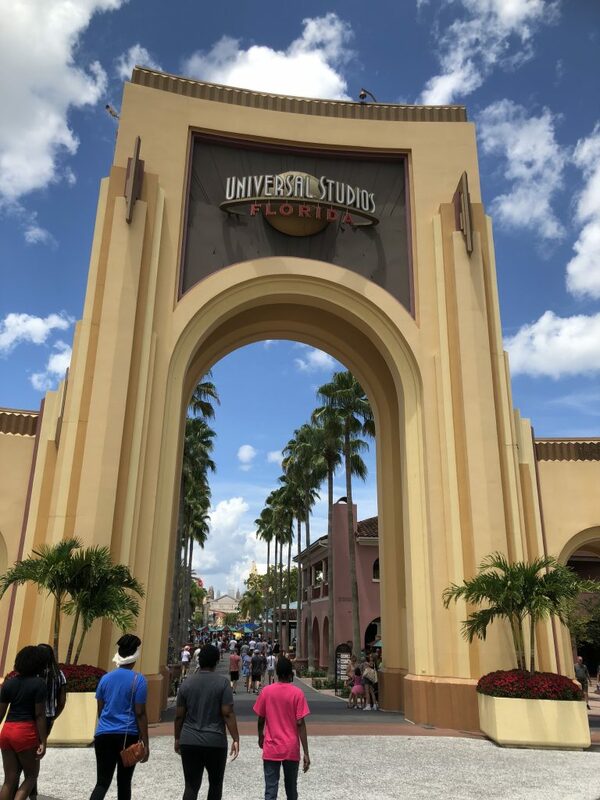 Our Guide to Universal Studios Florida, Orlando, is part of our Guide to Universal Resort Orlando. 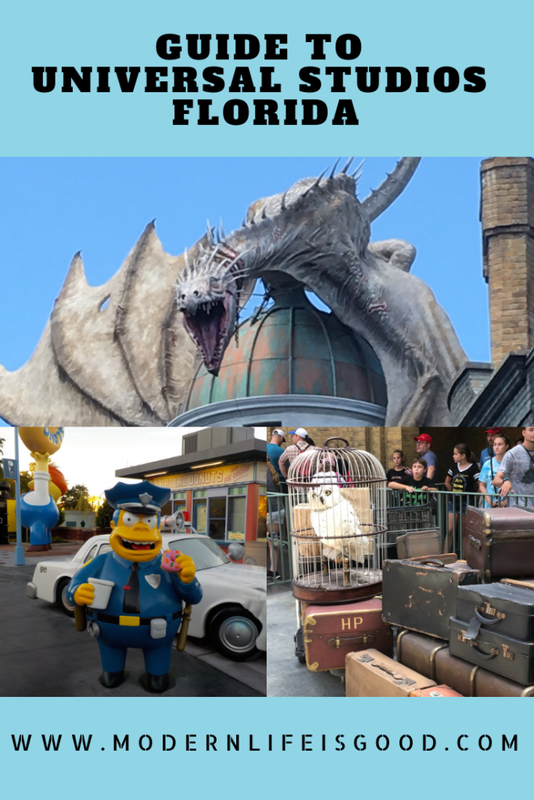 The guide has hints & tips to plan your visit to Universal Studios Florida. Universal Studios Florida welcomes around 10 million guests a year and opened on June 7, 1990. It was the first theme park to open at Universal Orlando Resort & opened shortly after Hollywood Studios. The park’s theme is the entertainment industry. Universal does not really do small filler attractions & finds little room for keeping historical sentimental attractions. What this means is attractions in Universal Orlando are usually an outstanding experience. 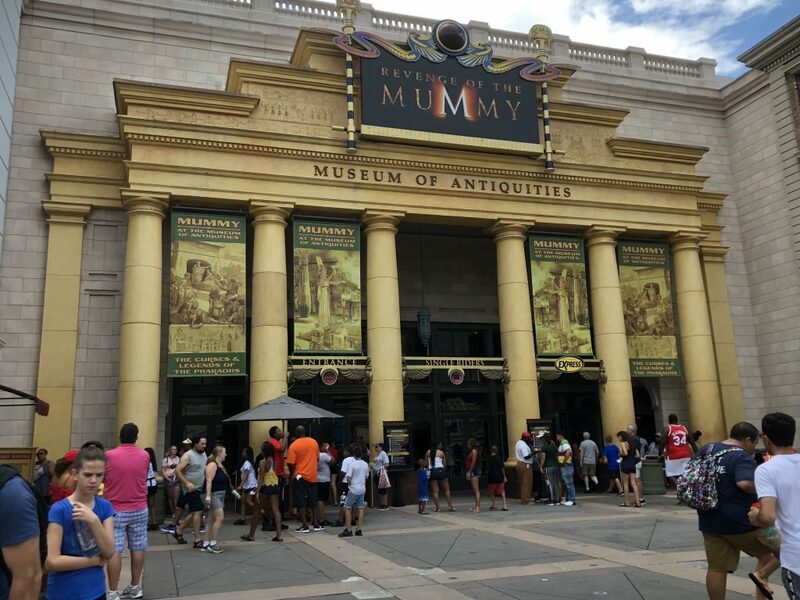 Universal Studios Florida appeals more to families with teens & young adults or those with a sense of adventure. Guest will find a lack of attractions for small children inside the park. Most guests will need 1-2 days to explore everything Universal Studios has to offer. However, the park is getting busier and you may need extra time during busy periods. Universal Orlando has several ticket options but the biggest decision is whether you want to buy a Park to Park Ticket. Guests who do not buy this option cannot ride the Hogwarts Express. The Hogwarts Express takes you from Universal Studios to Islands of Aventure and vice versa. The ride is unique and each direction offers a different experience. Whilst it does add to the cost of your day we would recommend most guests should consider purchasing it. However, if you are only visiting for 1 day, and not a big Harry Potter fan, it can be an unnecessary expense. Universal Studios Florida like many theme parks has a system for priority boarding of attractions. At Universal Orlando, the system is called Express Pass and unlike Fastpass+ at Walt Disney World it is not free. Express Pass is not cheap and the decision on whether to buy can be difficult. At quieter times of year it is usually not essential but during peak periods there are definite benefits. There is a selection of different Express Pass options and guests staying at the top Universal Resorts receive Express Pass as an added benefit. You can learn more about options available in our Guide to Universal Express Pass. Park WiFi has improved in recent years and is available throughout Universal Studios Florida. The Universal Orlando Resort App is available at both the Apple App Store & The Google Play Store. You should download the App before you visit. The App allows you to store tickets, access wait times, show times and more. There are handy interactive maps and the app will even store where your car is parked. You can now preorder food from select restaurants using the Universal Orlando Resort App. Universal Studios Florida features 7 areas/lands plus a lagoon. 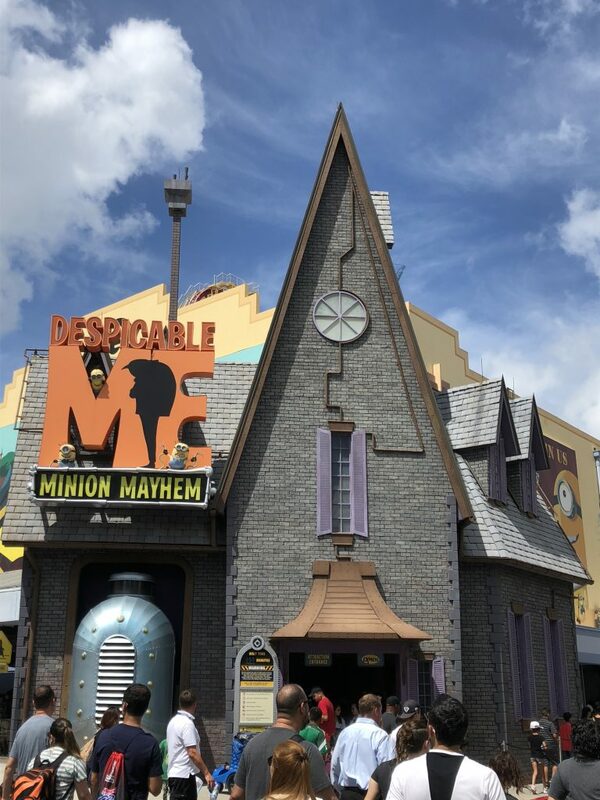 Most attractions at Universal Studios Florida have a height need and children under 48″(122cm) must be accompanied by an adult. Production Central is the first area you enter inside Universal Studios Florida and is also the home of Guest Services, First Aid & Family Services. There are also several shops here including the massive Universal Studios Store. TRANSFORMERS: The Ride-3D is an impressive simulator but I have no idea what is going on! In my opinion, you really have to have seen the film to understand the plot of this attraction. Must be at least 40″ (102cm). Children between 40″–48″ (102cm-122cm) must be accompanied but we do not feel this attraction is suitable for young children. Shrek 4-D great fun with Shrek & Donkey. Hollywood Rip Ride Rockit I am going to admit it, this is the one ride in Orlando I am scared of riding! This stunning coaster allows you to select the music to go with your ride. The 17-storey vertical climb is what turns me off this ride but I understand it is sensational. Must be at least 51″ (130cm) and no more than 79″ (200cm) to ride. Despicable Me Minion Mayhem silly simulator attraction with the minions. There is usually an opportunity to meet a minion after the ride. You must be at least 40″ to ride but there are stationary seats anyone can ride. This is perhaps the most amazing theme park experience in the world. 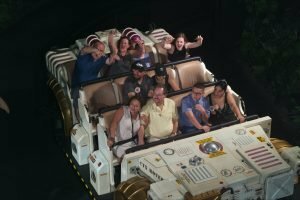 Its closest competitor is probably Pandora – The World of Avatar at the Animal Kingdom. This is the 2nd part of the Wizarding World of Harry Potter and is better than the original. The 1st part of the land is located inside Islands of Adventure. Prior to entering Diagon Alley, you see a “Universal reconstruction” of modern day London. King’s Cross Station is located in this area along with the Knight Bus. As you enter through the red-bricked barrier into Diagon Alley it is impossible not to be stunned by the wonder of the setting. Guests can easily spend several hours wandering through the shops and mysterious sights that await you. Highlights include the Leaky Cauldron, Ollivanders and Weasley’s Wizard Wheezes. Make sure you don’t forget to turn into Knockturn Alley. This dark area has a mysterious and sinister feel plus has some stunning special effects and unique shops. 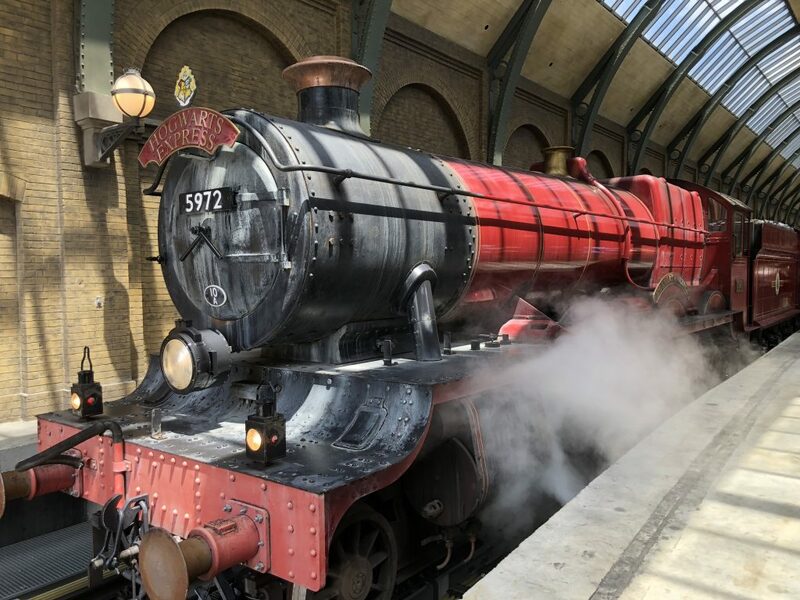 Hogwarts Express travel to Islands of Adventure but there is plenty to see on this magical train. You must have a park to park ticket to ride and the attraction is different in both directions. The ride is great fun and everyone can ride! 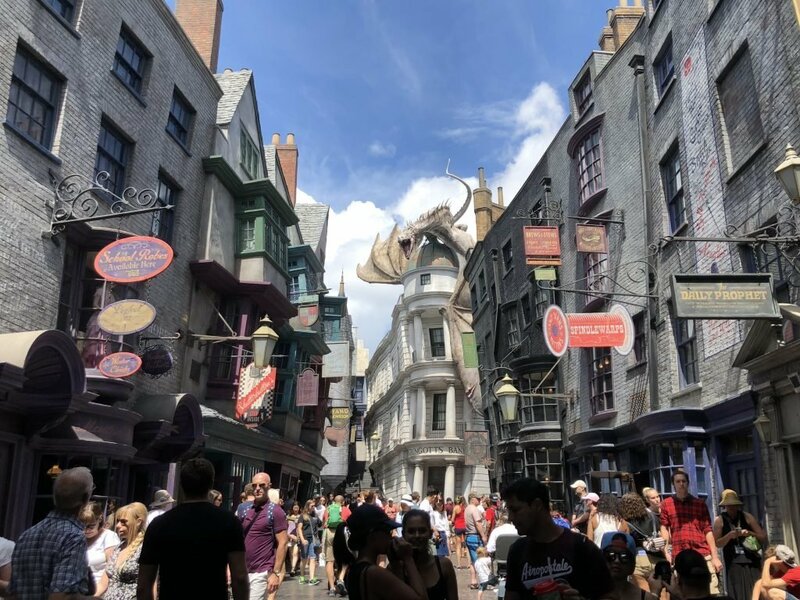 Take your time in Diagon Alley the rides are only part of the experience as there is so much to see. Revenge of the Mummy a very scary dark coaster with some very impressive effects. The ride is fast and does have a backwards section. You must be at least 48” (122cm) to ride. Race Through New York Starring Jimmy Fallon I have never seen Jimmy Fallon but this is a fun simulator. This ride has no queue and guests receive a time to return through a virtual line but Express Pass holders can enter at any time. Must be at least 40″ (102cm) to ride. The Blues Brothers Show Classic street entertainment with Jake and Elwood Blues. Try and grab an autograph before they leave. Universal Orlando’s Cinematic Celebration Universal’s new night spectacular on the lagoon. The show has music, water, light and projections. Films featured include Jurassic World, Fast & Furious and Despicable Me. It is a bit quiet in this part of the park since the closing of Terminator 2: 3-D. Originally it was announced a new attraction would be opening in 2019 but we are not aware of any announcements. Universal Horror Make-Up Show one of the original attractions at the park. This amusing show, which small children will find frightening, demonstrates horror make-up. Sometimes The Simpsons area is counted as its own unique land but officially it is inside the World Expo. Kang & Kodos’ Twirl ‘n’ Hurl a fun Dumbo-like ride but with some added Simpsons zaniness. The Simpsons Ride perhaps this is starting to feel a little dated but it is still good fun. 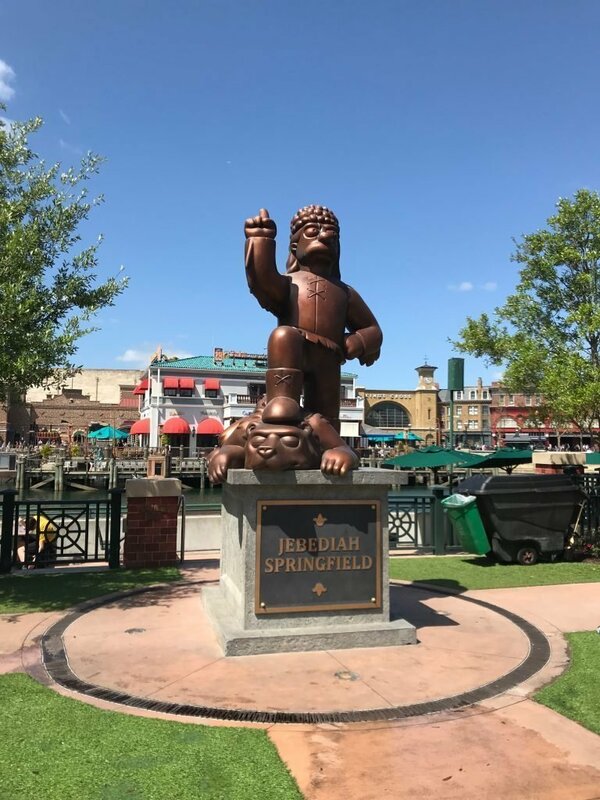 The Simpsons are brought to life in this simulator attraction. This is one attraction where you really do feel part of the film. This ride has a rather bizarre loading system which I would really I would love to understand how it works. Must be at least 40” (102cm) to ride. MEN IN BLACK I’m not very good at this spinning, shooting attraction. However, it is strangely addictive and is great family fun. Must be at least 42” (107cm) to ride. Make sure you listen to when to press the button! Fear Factor Live audience participation game show. 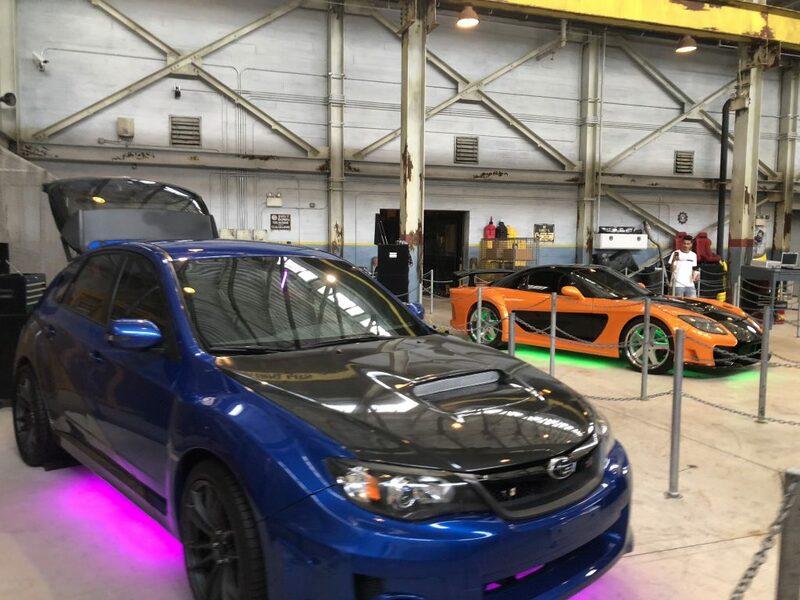 Fast & Furious – Supercharged this is the park’s newest attraction but I left somewhat underwhelmed. Big queues even with Express Pass but didn’t feel anything special. This is another ride that has introduced a virtual line but when we visited it didn’t seem a great success. Guests board a party bus and end up in a high action adventure. The presentation is, unusually for Universal, in 2D. Kids must be at least 40″ (102cm) to ride. There really isn’t a lot for small children in Universal Studios Florida. 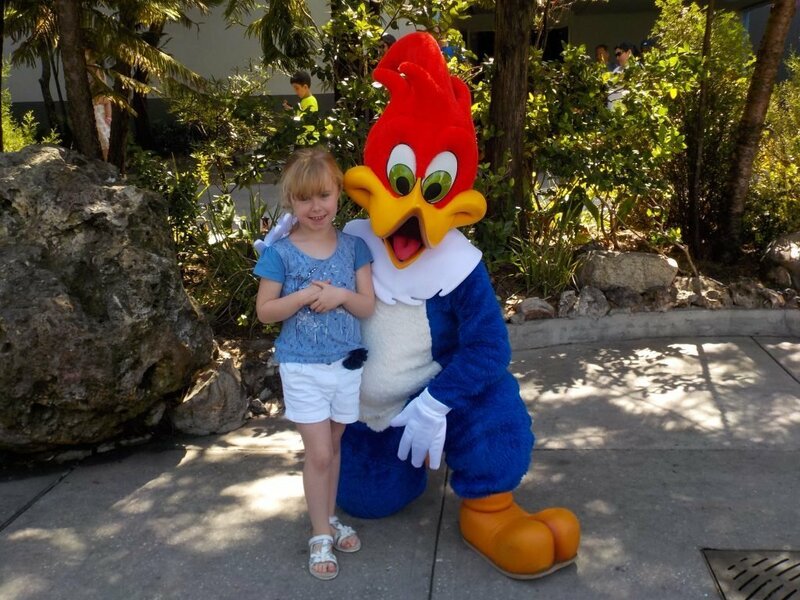 Woody Woodpecker’s KidZone has the best of the attractions for little ones. It has long been rumoured that this area will close for a refresh. Hopefully, it will be replaced with more family-friendly attractions. E.T. Adventure a theme park classic & only 1 of 2 remaining attractions from opening day. This adventure is fantastic fun for the entire family BUT kids must be at least 34” (86cm) to ride. A Day in the Park with Barney stage show with plenty of singing along but do kids still know who Barney is? Woody Woodpecker’s Nuthouse a fantastic introduction to coasters for little ones. Must be at least 36” (91cm). Universal Studios’ parades have never been the highlight for many guests. However, the daily Universal’s Superstar Parade is good fun and features SpongeBob SquarePants, Minions, the Secret Life of Pets, Dora and more. The time or the parade does vary and you should check the time on admission. Many of the characters take part in special Character Party Zones throughout the day. Universal Orlando has not reached the same level as Walt Disney World for dining options. Whilst the quality of food has improved in recent years it is still some distance behind Walt Disney World. Dining options, however in our opinion, are better value than at Walt Disney World. Universal Studios does offer a selection of dining plans but we do not feel they represent good value for money. 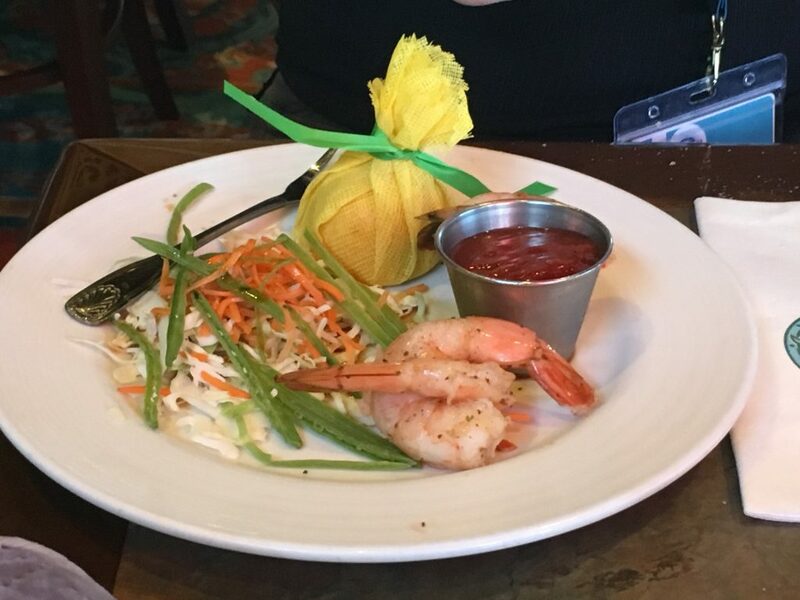 Universal Studios Florida only has 2 table service options both of which are bookable through the park’s website. Whilst walk-up tables can be available we strongly recommend booking in advance. Reservations can usually be secured easily on the morning of your visit. Finnegan’s is a traditional Irish themed pub serving a selection of dishes including Bangers and Mash, Shepherd’s Pie, and Guinness Beef Stew. There is a wide choice of ales available to go with your meal. I like Finnegan’s but the quality is variable. It is the only restaurant in Orlando I have returned my meal. This seafood restaurant serves favorites like clam chowder, fish & chips and Cioppino ocean bowl. However, the restaurant also serves meat dishes for those who would rather avoid seafood. Lombard’s is Universal Studios’ flagship restaurant and was present when the park opened. In addition to the 2 full-service restaurants, there is a choice of casual dining locations. Options are not as great as Disney World but the quality is usually reasonable. 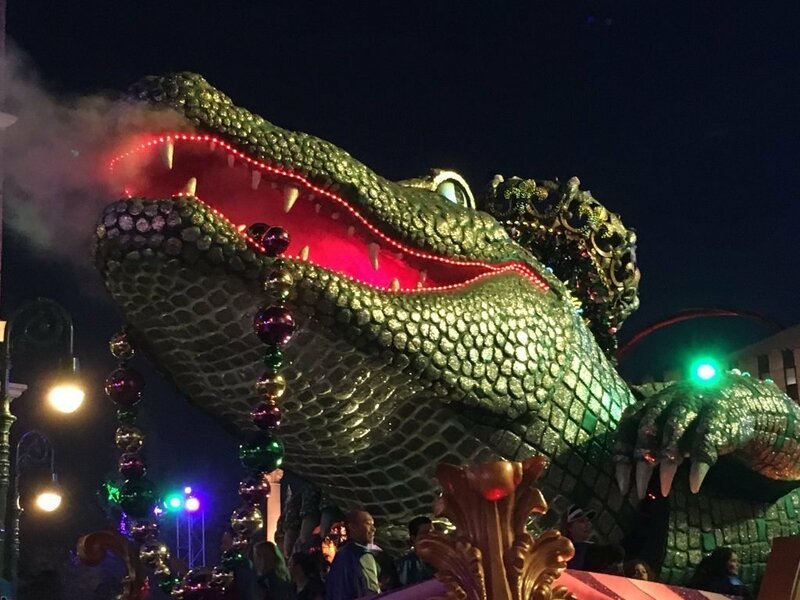 Universal Studios celebrates Mardi Gras from mid-February to Mid-April. These events are included in your park ticket but can attract big crowds. Music, street entertainment and stores selling New Orleans food occur nightly. However, the Mardi Gras parade with bead-throwing is the highlight of the festivities. The parade is great fun and has some outstanding costumes & floats. Whilst events in New Orleans are known for being of an adult nature the Universal version is a family affair. On select nights there are live music concerts. Guests in 2018 included The Beach Boys, Jessie J & Sean Paul. Universal Studios celebrates Christmas with a selection of special features. The highlight for many guests is the Wizarding World of Harry Potter which has special decorations and entertainment. Universal’s Holiday Parade featuring Macy’s occurs daily. Santa, the minions, characters from Madagascar & Shrek star in this colourful parade. The park traditionally celebrates Independence Day with special entertainment plus massive firework display. Expect equally massive crowds! Held every fall are the massively popular Halloween Horror Nights. These special events are not included with regular admission and attract an extra admission fee. Regular guests should note that Universal Studios Florida closes early on these nights. The events are genuinely terrifying and are not recommended for those under 13. There are live shows, character interactions and open-air scare zones. The highlight of the night is the haunted houses which can attract large crowds. 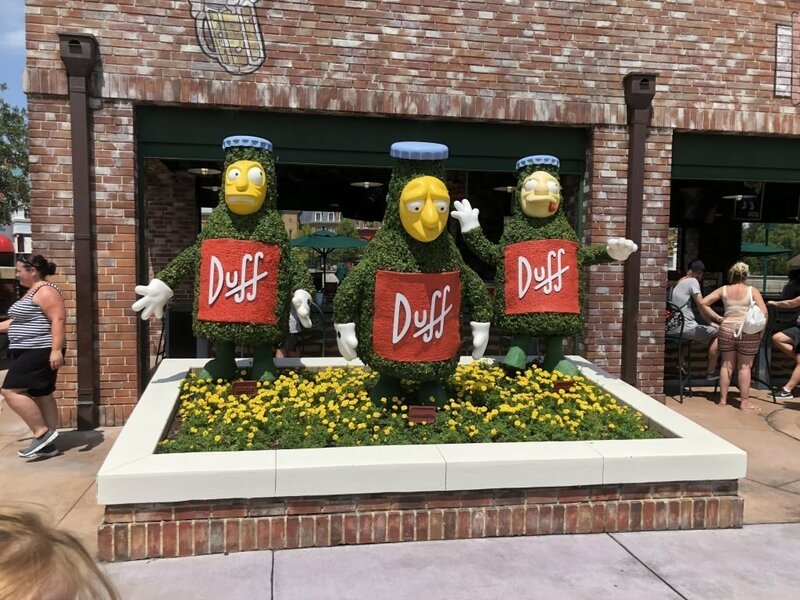 Our Guide to Universal Orlando Resort has more information on the sister attractions to Universal Studios Florida. 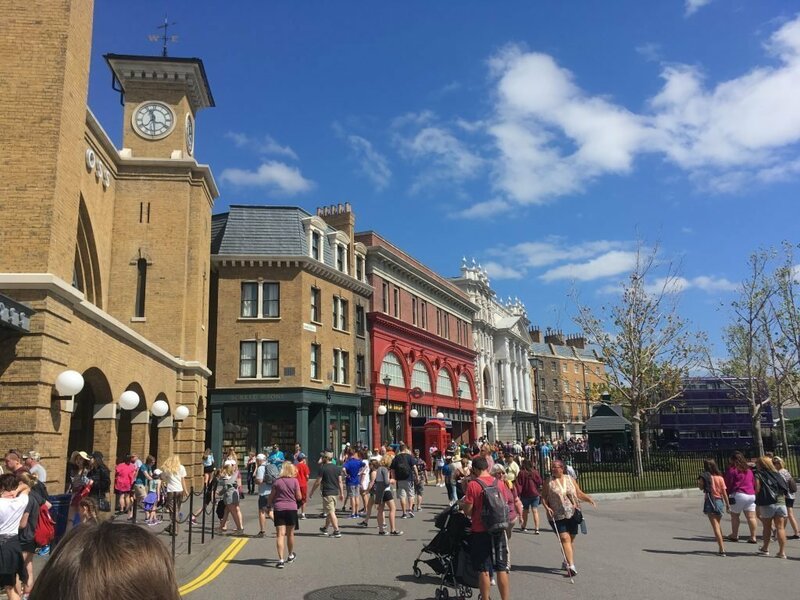 Universal Orlando Top Tips is a collection of tips that help plan your visit to Universal Studios. Are you trying to decide between Universal Orlando or Walt Disney World? We have recently done a comparison between Orlando’s Top 2 Resorts.